Did you know BC has no endangered species legislation? Most people are unaware that although BC has the greatest biodiversity in the country, we have the highest number of species at risk - all receiving virtually zero protection. Today, more than 1,900 species and subspecies are at risk of disappearing from our province. From the Vancouver Island Marmot to monarch butterflies, endangered species in BC are left to fend for themselves against climate change, toxic contamination, urban sprawl, logging and industrial development. View this video series to find out more about what we need in a new endangered species law. The Wilderness Committee has advocated strongly in the past that BC needs an endangered species law. It seems that this work has paid off – the new NDP government is in the process, right now, of creating an endangered species law. As the government collaborates with stakeholders and holds consultation periods, the Wilderness Committee knows that it is essential that we have our say in the law on behalf of the animals. This summer, the Wilderness Committee will be sitting in stakeholder meetings with industry, hunters, recreational users and the government to discuss what this law should look like. Climate change must be considered as a real threat and accounted for in the recovery and action plan phase. Protection of interim habitat. As soon as a species is found to be at risk, all of the known occupied habitat must be protected while further recovery plans are underway. This way, the species will receive the habitat protection they need right away in order to hold them over until more complex recovery plans have been made. A separate board to review applications for permits and exemptions that pose a serious conservation risk. Granting high-risk permits to harm a species at risk should not be left to the minister and cabinet to decide. These high-risk permits need to go through a high-level process where a separate board reviews and makes decisions on whether or not to give permits to harm a species at risk. Mandatory and strict deadlines. Starting from the legal listing of a species, to the recovery plan, then the action plan, and finally to on the ground action, all steps must have mandatory deadlines for completion. Cumulative impacts. When cumulative impacts are high, the recovery measures must be maximized and the highest level of precaution should be applied. Review effectiveness of action plans every 3 years and adjust as necessary. If an action plan is not proving to be effective than adjustments must be made. A stewardship fund to promote the preservation of species at risk habitat on private lands. We need your help - in December of 2018, the government will be asking for your feedback on their proposed law. To stay up to speed, make sure you watch the guideline videos so that you will be ready to write in and tell the government what you want to see in a strong endangered species law. 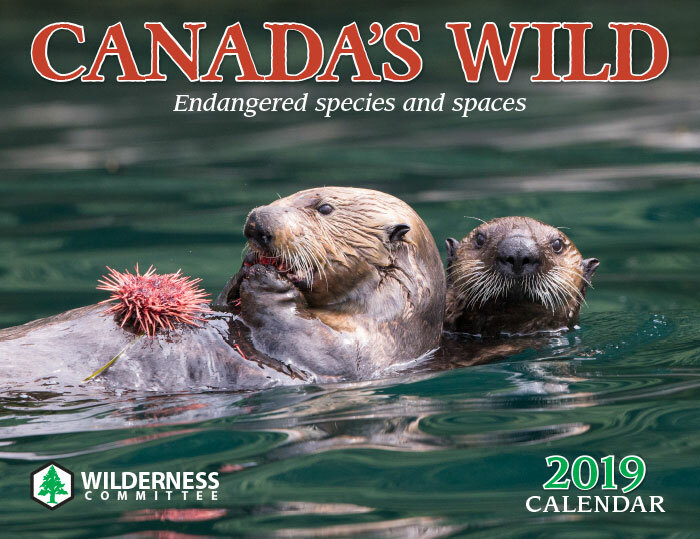 If you are looking for educational materials on species at risk in BC, check out our CONSERVATION IN ACTION: An Educator's Guide to Species at Risk in BC for Grades 8-12, an inquiry-based curriculum resource that can be integrated into a variety of classes for BC secondary schools. In partnership with teachers, wildlife biologists and curriculum specialists, we developed the resource to introduce endangered species-related issues using real-world activities and problem-solving tools. This is a great opportunity to connect students with nature.